Tre, Maison, and Dasan are three boys each of whom has a parent who is in prison. 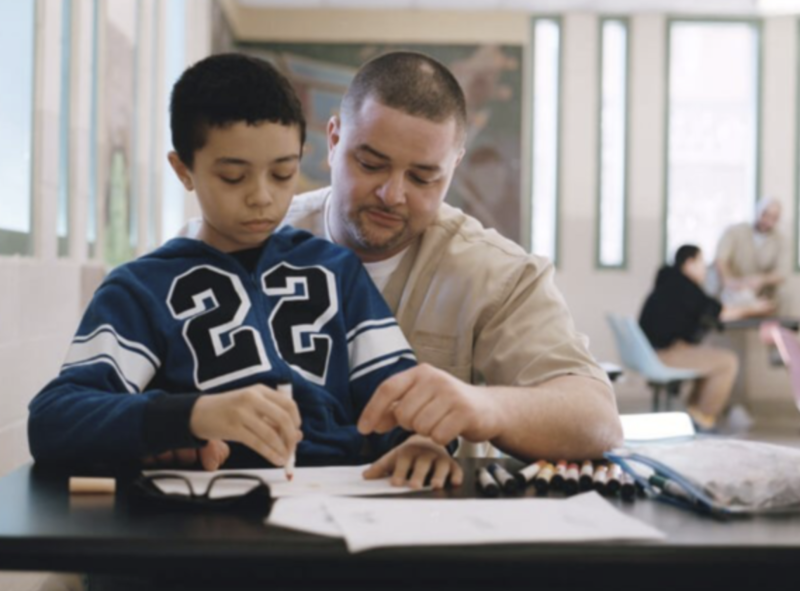 First time documentary filmmaker Denali Tiller has taken on this project to follow these three youngsters and show the often tender visitations that they have with their parent while in a Rhode Island prison. These take place in a large child friendly area where many children are having visits with a parent. She also follows these three youngsters at home with their families. Some of the footage is quite an accomplishment as she follows her subjects for almost three years and captures tender personal interactions between child and parent. 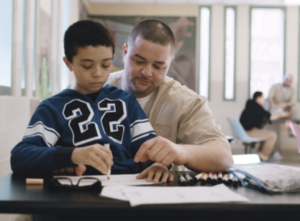 In a post film discussion, we become aware that one important goal of the filmmaker was to advocate for such visitation programs in a suitable environment in prisons throughout the country as well as education for parents on the importance of such interaction for children who have a parent in prison. Unfortunately, this message was not made clear in the film and we believe this was a lost opportunity (2018).